Considering our harsh climate, it’s amazing that we are able to grow grapes here in Lanzarote, but even more interesting is that the wine produced is excellent! With the team at Wine Tours Lanzarote, you can visit the wine making region on the island, travelling in their air conditioned mini bus, and explore our amazing bodegas. Vines have been growing here since the last eruptions, but they are very different to modern wineries in Northern Europe, growing in “zocos” in the volcanic soil, which impart a unique flavour and require very labour intensive care and harvesting. Wine Tours Lanzarote offer different options for visiting the region, all with a tasting, of course! And they share their passion and knowledge of the industry here with you. And new for 2017, they now offer a tour of two of Lanzarote’s micro breweries, again with tastings and a chance to understand the brewing process. Your guides for the trips are Ollie and Paddy – Ollie is from the Channel islands, but has had connections with Lanzarote for 30 years, and Paddy, from Dublin is a former surf instructor on the island and is passionate about all things Lanzarote. 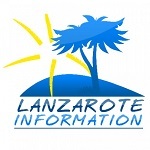 To find out more and to book, visit their website: Wine Tours Lanzarote.